Mr. Secretary General, Madam President of the General Assembly, Madam Undersecretary General, Excellencies, U.S. Holocaust Memorial Museum Chairman Howard Lorber, Ladies and Gentlemen, and most especially our honored survivors and veterans, it’s a privilege to be with you on this important day. When the United States Holocaust Memorial Museum opened 25 years ago, Elie Wiesel said, “The Museum is not an answer. It’s a question.” Many questions. Since we recently commemorated the 70th anniversary of the adoption of the UN genocide convention, which was meant to be one answer to the Holocaust, I could start with this question: has it been effective? It certainly hasn’t prevented genocide, antisemitism or hate. In the late 19th Century, Europe was undergoing enormous economic, political and social changes. New technologies led to rapid industrialization, urbanization and globalization, which resulted in vast increases in poverty, disease and crime and new questions about identity, community and about how to organize societies. Significant social dislocation led to a perception of winners and losers; to pervasive uncertainty, fear and resentment; and to desperate searches for easy answers to complex questions. In Germany, World War I, the Russian Revolution, the Great Depression and widespread disillusionment with democracy created a perfect storm for nationalism, racism and antisemitism to flourish. Exploiting centuries of other forms of antisemitism and modern eugenics, Adolf Hitler combined hatred of Jews and racial ideology with national pride and unity. It’s been said that when a person has a big idea, and it’s their only idea, beware. That was Hitler. His idea was race, antisemitic racism. And the promotion of Germany as a proudly ethnic state for the "Aryan" people. It might be comforting to think that all Germans were, like Schmitt, fervent Nazis. But by the time Hitler assumed power, 55% of Germans had never voted for him. Consider this: The 1920 Nazi party platform had 23 points. Only four were explicitly antisemitic. Others included goals such as: outlawing child labor, education of gifted children, old age welfare and land reform. Clearly, some Germans were rabid antisemites, but hardly all. Many thought Hitler’s antisemitism was too violent, yet they also saw that he offered an answer to years of multiple crises. That answer rested on the Nazis’ promotion of ethnic revival, the creation of the racial state and the elimination of what they considered existential threats to the “biological community,” namely the Jews. Most Germans were indifferent to the escalating persecution of their Jewish co-workers, neighbors, even friends. And that is precisely what all perpetrators count on — indifference. And without the indifference of most and the collaboration of many, the Holocaust would not have been possible. It’s sobering to realize that the Nazis were in power for eight long years before they began the genocide of the Jews. Eight long years when Germans, Europeans and the international community knew what was happening inside the ever-expanding Third Reich. What does this mean for our times? First, the obvious conclusion that after 2,000 years of various forms of antisemitism, we know it’s not an eradicable disease. Nor is hate. So can we tackle the problem of indifference? Is that too ineradicable? We are all susceptible. We, too, live in an era of unprecedented change. The last century began with war, revolution and an economic crisis. Our century began with war waged by Al Qaeda, a technological revolution and a severe recession. Holocaust history reminds us of the vulnerabilities of human societies in times of rapid change. And, we are facing an ever-accelerating rate of change that we can’t begin to comprehend. In 2001, futurist Ray Kurzweil predicted our society would effectively experience 20,000 years of technological progress in the 21st Century. Remember, the Nazis were skilled in deploying the latest technologies along with a dangerous mix of propaganda, terror and the law. The Holocaust is a warning that technological progress is not moral progress. With all this change, how will we face unprecedented moral questions when social trust is so low? Think about the difficult questions we are facing now about free speech and hate speech in light of the internet. As Tom Friedman says, everybody lives in cyberspace but no one’s in charge. And just imagine the questions we will confront about what it means to be human in light of advancements in bio-engineering and artificial intelligence. Remember, the Nazis invoked so-called racial science as a modern idea that would redefine humanity and morality. What can help us navigate the perilous road ahead? We will need historical perspective, critical thinking and moral anchors. We will need constructive ways to have difficult conversations. That’s why Holocaust history is uniquely suited to this moment. But first, we need a relentless fidelity to historical truth, which means the politicization of the Holocaust has to end. It must stop being exploited as a propaganda tool for extreme nationalists as well as antisemites on both the right and the left. The United Nations General Assembly has rightly condemned Holocaust denial, but it must be relentless and treat this as one of many dangerous forms of antisemitism worthy of condemnation, especially in today’s perilous climate. And the abhorrent politicization of UN bodies by some member states in order to delegitimize the State of Israel must also end. Second, the Holocaust seems incomprehensible, which is precisely why we must comprehend it. It was a watershed in our understanding of humanity. At the beginning of the 20th Century, we assumed education and democracy could protect us. The Holocaust revealed enduring truths about human capabilities. About good and evil. Also about all of us humans who normally don’t inhabit either end of that spectrum. It reveals not only our susceptibility to fear, resentment and indifference. We now know from Holocaust scholarship, it reveals other powerful motives such as greed, peer approval and career advancement that can make us complicit in the face of hate, antisemitism, even genocide. History helps us look back, but life is lived forward. The citizens of the Weimar Republic did not understand that they were sitting on the abyss of evil. Today we realize just how susceptible they were. The Weimar Republic could not withstand multiple crises and rapid change. There was no strong foundation of democratic practice and values. Social trust was lacking as was a robust civil society. Jews, a longstanding and effective scapegoat throughout European history, became one again. And ordinary Germans found ways to rationalize this. When do ends not justify the means? Can we distinguish between the symptoms and causes of the problems? Most importantly, this question: What is my role? 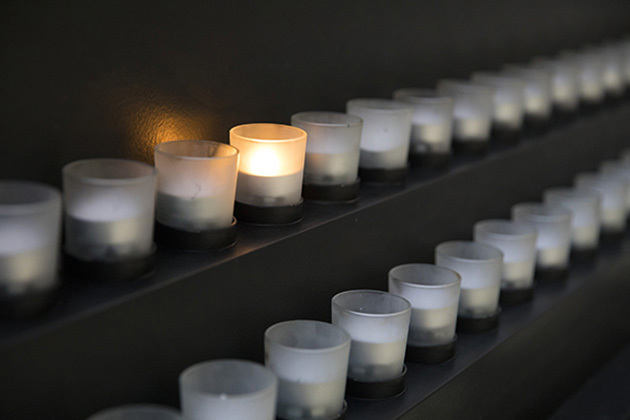 It’s easiest to blame or categorize others, but the Holocaust reminds us that individuals — for better or worse — have more power than they realize. As Elie Wiesel challenged us, these are not one-off questions. We need to continually keep asking these questions of the world, and of ourselves. What makes people susceptible to antisemitism, hate or indifference? How can I avoid simple answers to complex problems? How can I not only listen, but hear, and hear with empathy and humility — those who look, pray and think differently? How can I actively promote social cohesion by advancing the common good and searching for shared values that transcend differences? The ultimate question: What is my responsibility for the future? 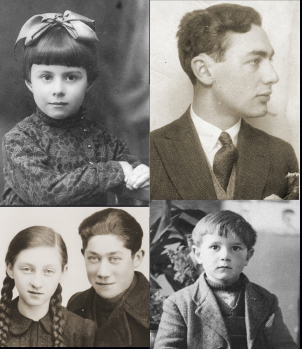 The study of Holocaust history helps us look back and see where warning signs were missed; where unintended consequences were ignored; where wishful thinking prevailed. And, this looking back is what we owe the victims. To remember their lives. To remember the horror of their deaths. And to remember most of all that we failed them. We cannot fail them again by forgetting. We cannot fail them again by ignoring rising antisemitism and distortion and politicization of the Holocaust. We cannot fail them again by not learning from our failures. When we look back in history, it must be to see who was lost. It must be to see what happened, and what failed to happen. And it must be to see ourselves. Thank you.